A wonderful gift for any English Cricket fan. 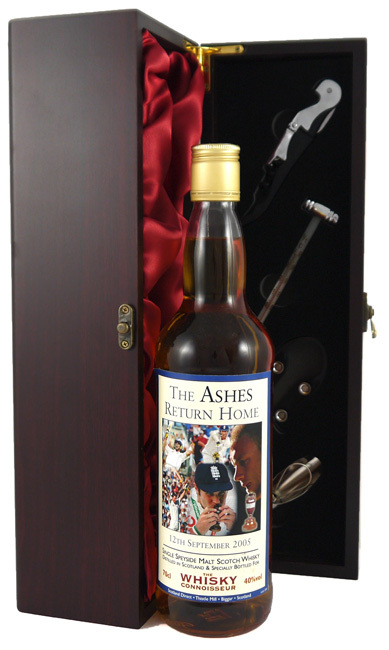 This Single Speyside Malt Scotch Whisky commerates the Ashes returning home on the 12th September 2005 and was specially bottled by The Whisky Connoisseur. Limited edition of only 373 bottles.